Gigabyte releases three new X470 Gaming motherboards for the new 2nd Generation AMD Ryzen processors. 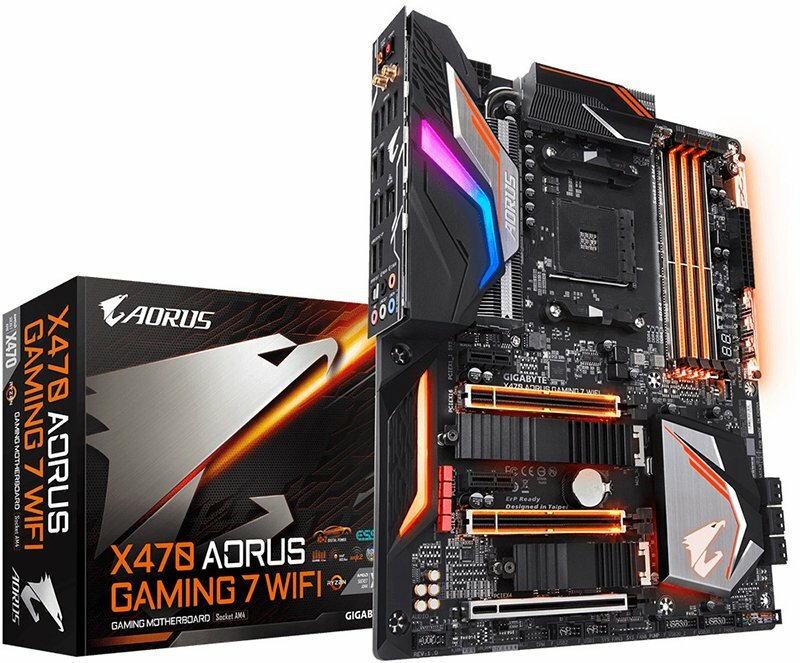 These new motherboards are the: AORUS X470 GAMING 7 WIFI, X470 GAMING 5 WIFI and X470 ULTRA GAMING. They feature different design from the previous X370 motherboards, but somewhat similar from some of the new H370 and B360 motherboards. 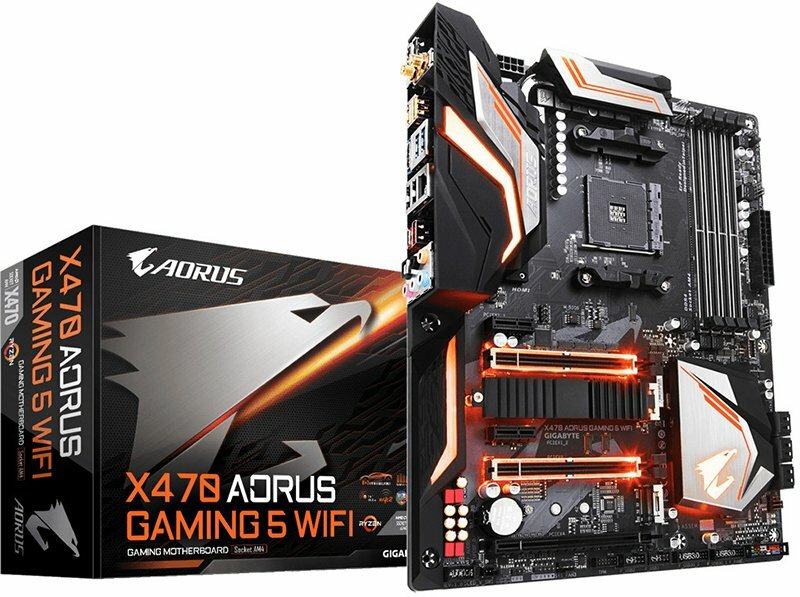 The X470 AORUS Gaming 7 WIFI, currently the flagship of this series, will come with an MSRP of $240 USD; followed by the X470 GAMING 5 WIFI at $180 USD and finally the X470 ULTRA GAMING with an MSRP of $140 USD. These motherboards are available to order at Newegg.com here. You can check out more of its features and specifications below. 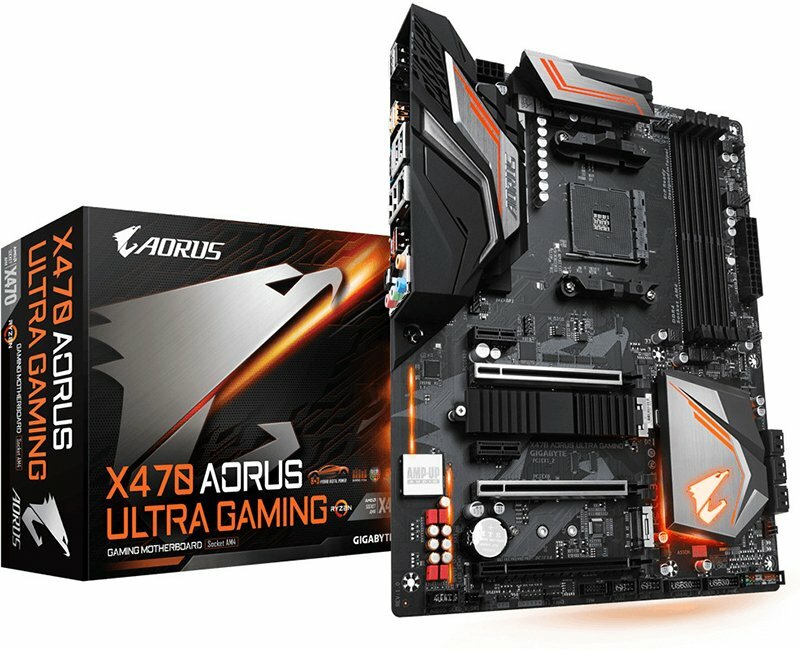 GIGABYTE TECHNOLOGY Co. Ltd, a leading manufacturer of motherboards and graphics cards, is releasing the new AORUS X470 Gaming motherboards based on the AMD X470 Chipset. This launch follows the announcement of 2nd Gen AMD Ryzen Processors and the motherboards themselves represent the pinnacle of performance on this new AMD platform by means of an updated power design with up to 10+2 power phases, future-proof connectivity with USB Type-C as well as improved Audio and Wi-Fi capabilities. All this is concealed by a new overall motherboard design that better showcases the dominant ascension of the AORUS eagle. 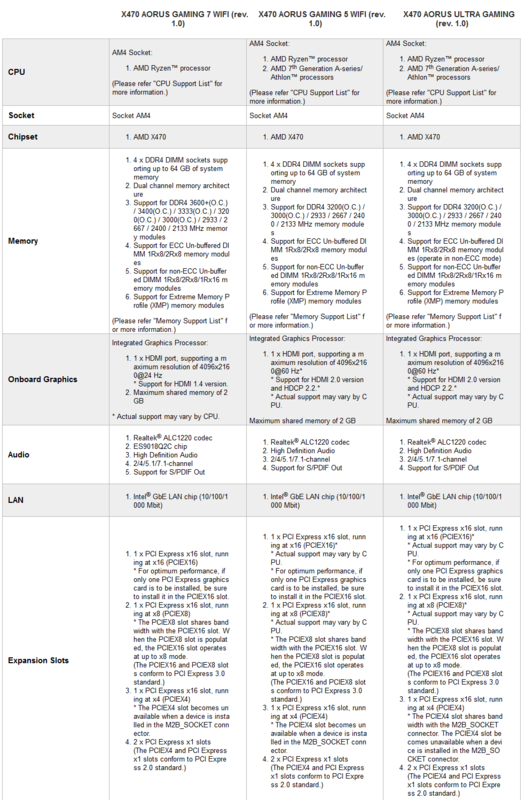 Built on 12 nm technology and using the long-standing AM4 socket, the new 2nd Gen AMD Ryzen CPUs offer more than 10% performance improvement over their predecessors and are presented with a variety of models where flagship Ryzen 7 2700X is a processor with 3.7 GHz base clock and 4.35 GHz boost clock accompanied by other Ryzen 7 and Ryzen 5 CPUs ranging from 6 cores and 12 threads up to 8 cores and 16 threads. Speeds of up to 1.73 Gb/s via a wireless connection is now a reality on AORUS X470 motherboards equipped with next-gen Intel Wireless 802.11ac Wave 2, even surpassing that of wired connections. The smooth video streaming and gameplay quality achieved with a Wi-Fi connection 4x faster are game-changing for the various forms of entertainment popular in today’s world. AORUS X470 motherboards include additional built-in technologies with an emphasis on performance, style, and durability. The 2nd Gen AMD Ryzen Processors truly benefit from having a strong companion cooling technology such as the renowned Smart Fan 5, with a combination of hardware and software features, keeping the system cool even while executing highly demanding tasks at peak performance levels. Customization possibilities are greater than ever on this new AMD platform with a total of 4 headers for external LED lighting strips. The added support for Digital LEDs allows for virtually unlimited patterns and styles. The new design found on these motherboards is inspired by the wings of an eagle. The sleek contour of the I/O armor resembles the shape of the wing while the claw marks and airflow design represent the wing’s impressive aerodynamic features. It’s finally possible to harness every bit of performance from the new AMD Ryzen CPUs and fulfill your gaming dreams with the AORUS X470 Gaming motherboards.